“Practically, the old have no very important advice to give the young. I have lived some thirty years on this planet, and I have yet to hear the first syllable of valuable or even earnest advice from my seniors." In 1967, I was a high school student off for a summer of research on mouse genetics at the Jackson Laboratory in idyllic Bar Harbor, Maine. The most amazing part of the program was the chance to meet and interact with intellectually motivated students from around the United States. Recently, I was invited back to the Jackson Lab after 49 years to talk with a new crop of high school students about my memories of the program, what I have done and am currently doing in my research, and what I had learned over the course of my career and life. Above is a 3 minute version of my talk; keep in the mind the above quote from Thoreau that the wisdom of seniors has little value. 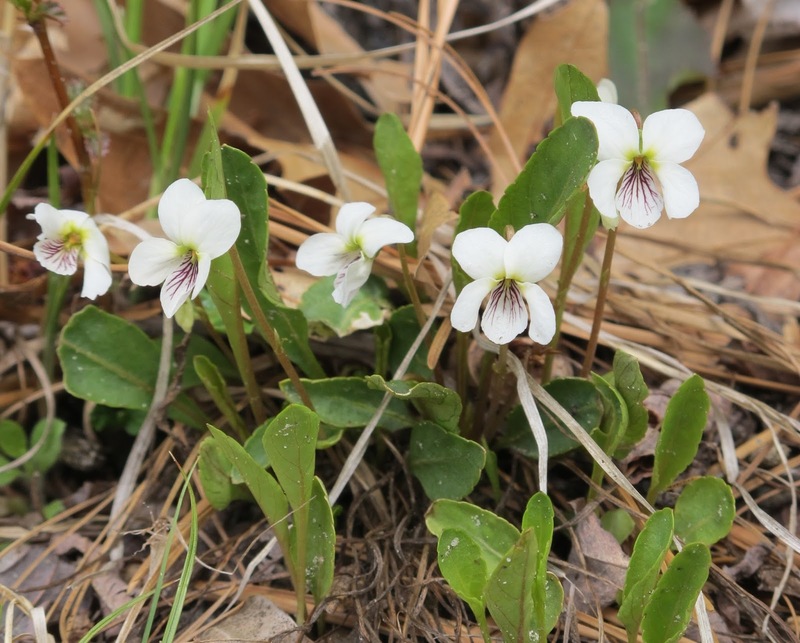 The past few years of low water have allowed alder and birch saplings and wildflowers, such as lance-leaved violets and yellow wood sorrel, to establish on the sandy beaches below the forest margin. When the water rises again in coming years, this invading edge of plants will be drowned. 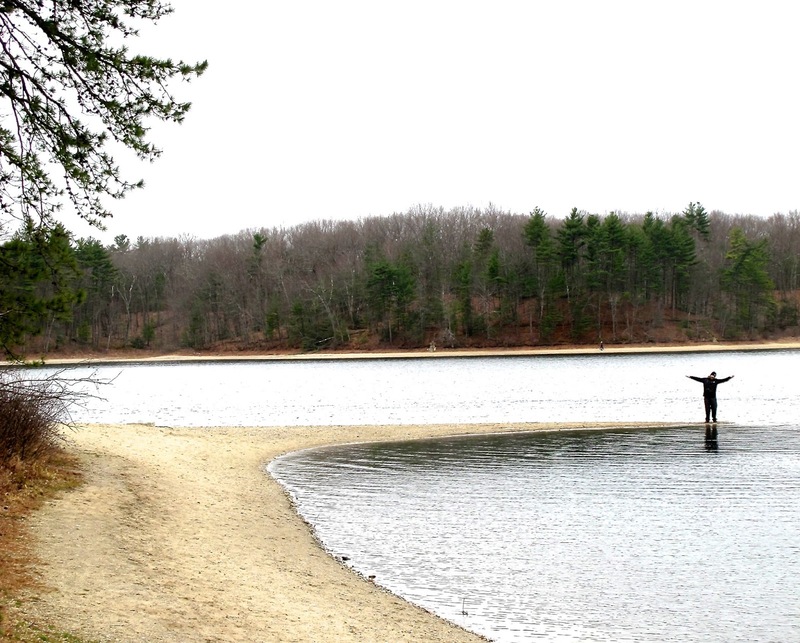 The water has fallen so low this year that part of a submerged sand bar—one that Thoreau described in his survey of Walden Pond—is now exposed. In Thoreau’s 1846 survey, he noted that the sandbar across the mouth of what is now known as Thoreau’s Cove on the northwest corner of the pond (the cove closest to the site of Thoreau’s cabin) was 7 feet below the water’s surface. Also related the low water level, the large vernal pool near Thoreau’s cabin site, known as Wyman’s Meadow, has no standing water. In typical years, the meadow fills with water in the late winter and spring, and mole salamanders, American toads, and other amphibians lay their egg masses in the water; later in early summer the pool is alive with tadpoles and juvenile amphibians. By the summer’s end, the pool dries out and the meadow becomes a carpet of colorful flowers. But this year, without any standing water, the amphibians have no place to breed—and children visiting Walden will have no tadpoles to catch. The extreme low water and wide beaches that we are seeing this year—an extreme that Thoreau noted too—is a part of what makes Walden Pond so endlessly fascinating. Something to consider next time you take a stroll around the pond. You can read my full article on this topic in the Concord Journal by clicking HERE.